During the design phase, the electrical distribution of the building has been divided into “areas”, with a different electrical panel board for each section. Each electrical panel board includes a metering module, which allows to dissociate the electrical charges (lighting, power plugs…) of each “area” and thus to analyze more precisely the evolution of the consumption. It is a mandatory basis for a successful energy analysis. Designed some years ago, this visionary installation corresponds to the current trends of energy performance objectives: measuring to understand, to progress and to avoid excesses. 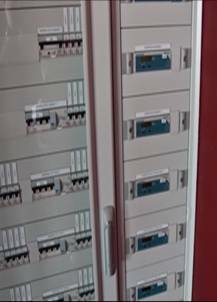 The electrical panel remains the place which concentrates the meters, and from where they are communicated to the building management system. All the building lighting is managed according to natural light available and human presence. 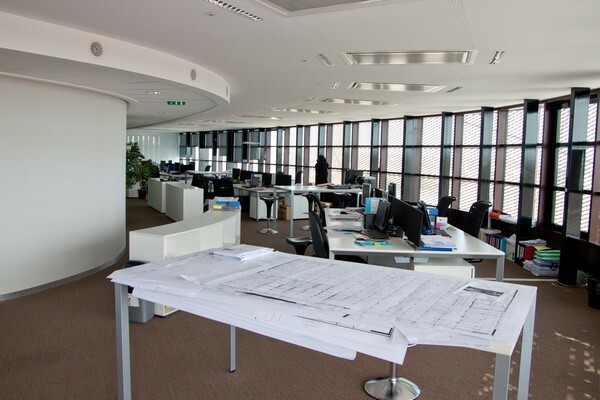 The lighting in the offices is limited to 1,86 W/m², and used to compensate for a lack of natural lighting. To do so, sensors have been installed in the ceiling to measure the lighting level per zone and to check for human presence. The result: artificial lighting is activated automatically, only when it’s needed. The ceiling luminaries are equipped with fluorescent tubes. For that reason the building has almost no wall switch! Just time programming for corridor lighting. Sensors and management PLCs are installed in the false ceiling. Every building “area” or floor is divided into 32 sections. Each section includes a PLC. The PLC can receive instructions like lighting level required, given by BMS (Building Management System). Inside each electrical panel board, another PLC centralizes all the data related to the lighting and metering of that “area”, and acts as an “intermediary” between the BMS and the local PLCs. For each 250m² office section, an electrical panel board includes the corresponding meters, the measurement data is sent by a PLC to the BMS. During the design phase, the end user has chosen not to install a network of power plugs delivering back-up energy for the office computers: in practice, every employee has a laptop with its individual battery in the event of a power cut. Moreover, these laptops use less power than desktop computers. Just one inverter is used for the secure power supply of the server. Born from practical thinking about energy efficiency, this building remains sober in consumption, despite a high performance level. So far, the tower consumption is 40 to 50 times less than traditional tertiary buildings with similar size and occupancy. or copy this trackback: http://engineering.electrical-equipment.org/energy-efficiency-building/an-office-tower-without-switches.html/trackback from your own site. 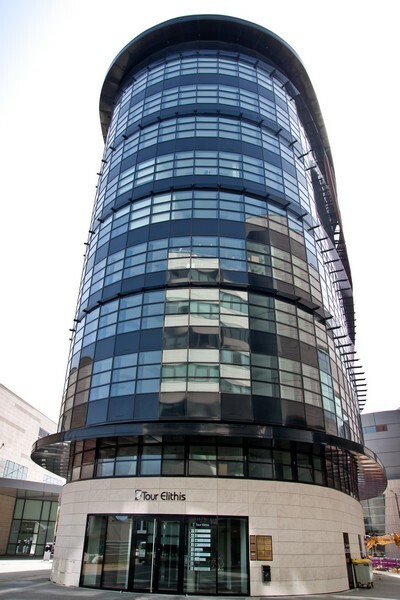 A fantastic trend that the Elithis Tower has done an excellent job of embracing. Using laptops instead of desktops is a very clever way to improve energy efficiency without interfering with day-to-day office life. The automatic lighting sensors in each zone was also a very smart idea. Nice article, but are you sure the energy reduction is 40 to 50 times and not 40 to 50 percent.